Falling in love with a rebel was not my plan. I am a lawyer. I love order, justice, and the little, annoying habits that I never stray from. Until the night he saves me. Marcus King is a rebel by day and an unleashed lover by night. He watches me with that delicious glint in his eyes like he is an intimate connoisseur of all my cravings; like he is the one to satisfy them. He is not the man I want, but giving in to him is so tempting. And once I do, he sets me on fire, one kiss at a time. The killer I had been hunting for is on the loose, and I am his target. Rule #1: Don&apos;t date lawyers. Rule #2: Don&apos;t get attached. Rule #3: Don&apos;t act as a savior. Those were my bylaws, and they were easy to follow because I didn&apos;t do romance, or worse, let myself believe that I could love. Until the night she waltzes into my life. Charlotte Burton is the bane of my existence and the virus that contaminates my blood from the very first second I lay eyes on her. She makes the rules I love to break, but in the end, she is the one to break my rules. She gets in my veins, in my lungs, in every broken piece of my heart. But that doesn&apos;t mean that I can keep her. Not until she stops flirting with danger. Not until the killer targeting her is put down. To protect her, I must break my last rule, but will that be enough to save her? 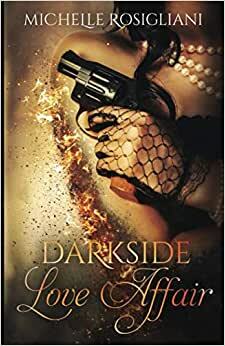 Start reading Darkside Love Affair (Darkside Love Affair #1) on your Kindle in under a minute. 1.0 out of 5 starsDumb story, dumb characters, dumb ending. So bad I skimmed to be able to finish. Really bad. 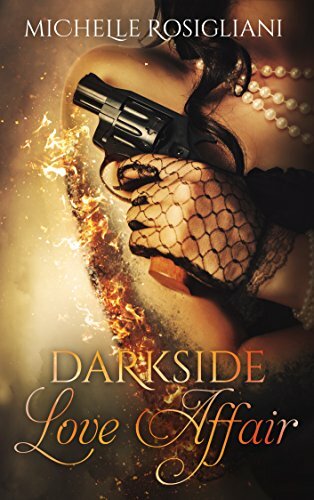 5.0 out of 5 starsDarkside Love Affair will leave you wanting more from this author! Wonderful book! I can not wait to read the next one! Mystery, love, lust, romance, what more can one ask for! 1.0 out of 5 starsDragged on and boring! I honestly could not get into this book. I took it to over 50% and still just did not feel a smidgeon of what you all posted in your reviews. It was stagnant as a read. I did enjoy the Characters..but everything else fell crashing down. Honestly, Marcus was not really a "bad boy" in my opinion. I felt that the author did not really understand that in NYC you can not drag race!! You can barely beat the traffic. It is so congested. The living quarters are not called flats. Apartments. They drove and parked so damn easily. It was just not a very well constructed flowing book for me. Being more than %50 in and still going over the same, looping story line...was painful. Nothing was moving forward and nothing was "gripping". Sorry, I could not bring myself to finish it. It was more fluff then suspense. 3.0 out of 5 starsKept my head and heart spinning! Forced by her manipulative father to accept a case defending Jack Stewart who was accused of murdering his fiancée, Charlotte leaves her fathers car and heads out on foot to her apartment. She meets Marcus when he rescues her from three of his drunken friend's harassment on the street. I really hated the way her father bullied and belittled Charlotte and how she fumed inside but allowed him to have his way. She bumps into Marcus again and again, and it seems fated that they will form a relationship with each other. But Marcus has secrets of his own, and one of them is his dysfunctional relationship with Olivia/Liv. He drops and runs to her with each needy call and cannot put an end to their physical connection even though their attachment and relationship with each other is kind of creepy. He is also pressured by his father who ends up being the partner of Charlotte's emotionally abusive and controlling father. This was a complex, intriguing and sometimes suspenseful romance. Lots of moving pieces that had me thinking "What's going on?" a time or two. There's murder and mayhem, betrayals, and evil lurking in every corner and Charlotte has somehow become a target. Her only safety net seems to be Marcus. This was a well written suspense novel that had a shocking ending that I did not expect and had me shouting(in my head), Nooooo!! !